In this "WWW" era, most of us cannot go even an hour without taking a peak at a web page. Being it a social media like the popular Facebook, Twitter, Instagram and the likes not mentioning WhatsApp messenger. Even with WhatsApp, Folks are always every minute charting with friends and family. You will bear with me that all these browsing stuff uses internet data which we often purchase through various mobile carriers are quiet expensive and you might not wanna spend your last money on these when there is a way to cut cost and save a lot of data while we joyously surf the web. Opera, popularly known for their data compressing mobile browser that is available across all mobile platforms, iOS, Android, Java, Windows, Symbian, Nokia - you can name them, has come out with yet another powerful mobile application called Opera Max. The app is available across all the major mobile platforms. So for those of you readers who are or like streaming Youtube videos and Netflix videos here is a good news for you. You can now save massive data while watching all your youtube videos online without having to think of shorting data once you have the Opera Max app installed on your device. 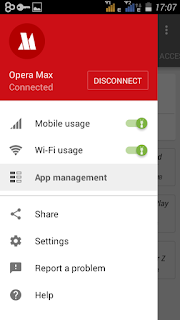 The Opera Max app uses a VPN connection That is, it sets your mobile connection over a VPN there by limiting the data transfer between your device and the web. 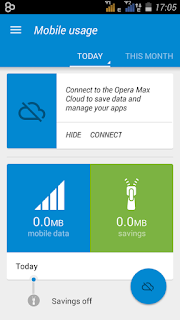 With the Opera Max app you can choose between which apps uses mobile data and even gives you the option of stopping apps from using mobile data. Awesome right! 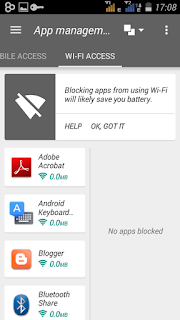 The most thrilling part is that it can also help you save some battery percentage by letting you prevent apps from using WiFi from the background when connected to a WiFi network. Download the Opera Max app from your respective app store. 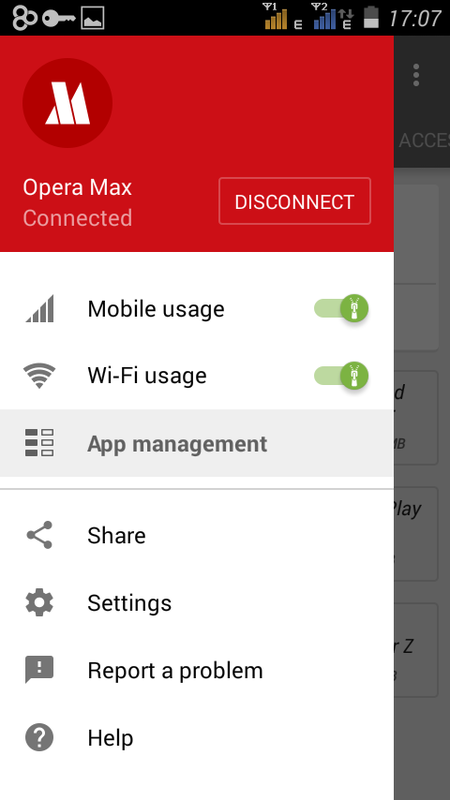 Just search "opera Max" and install the app on your device. Launch the app on your device and tap on the "Connect" button. This will take you through a VPN connection pop up window. Just tick the "I trust this application" and then Ok to connect over a VPN. Now on the top left side of the app screen, tap on "Mobile usage" then on "app management" to manage the apps you want them to use mobile data and those you wanna block. 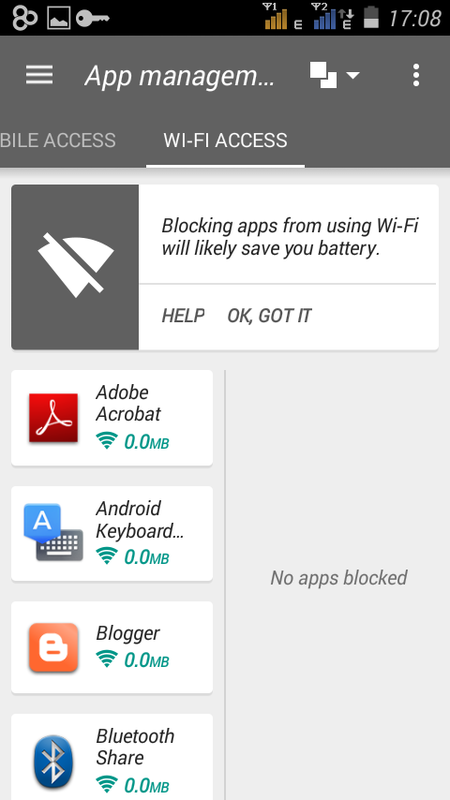 you can navigate your way to WiFi ACCESS to manage apps and chose which app to block from using WiFi in the background to save battery consumption. where you Got it From. We don't ask for money or Anything from you, Linking back and Sharing this post is the Best way to Support and Appreciate our effort, so everyone can progress. SHARING IS CARING TOO, Don't Forget To Hit Our SHARE and LIKE Buttons Below. Have Fun!